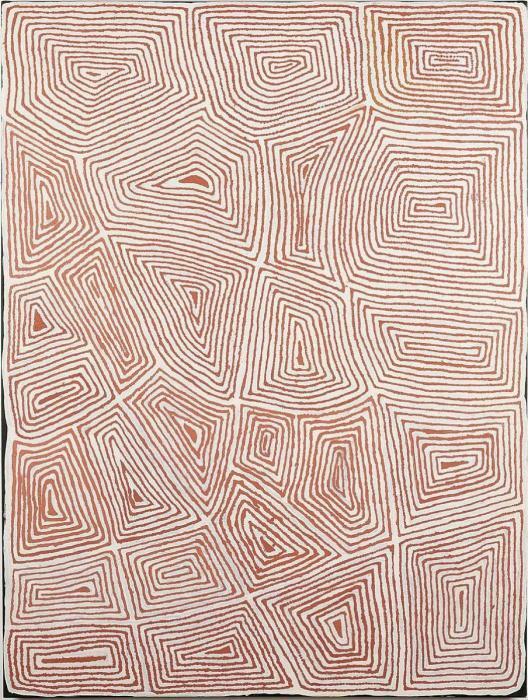 John John Bennett Tjapangati was from Kintore and was a member of the Papunya Tula artist group from the early 1980's. John John was married to Nyurapayia Namitjinpa and at the time lived at Walungurru. In the later part of his life he lived at Tjukula, in part of the landscape of this painting. His country was Mukulurru which is north of Kaltukatjara (Docker River) the southern extent of places visited by the Tingari men. This area is 150 kilometres north of the intersection of the South Australian, Western Australian and Northern territory borders. 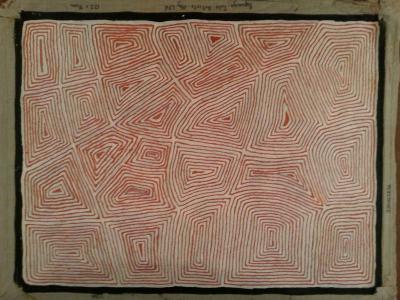 John John Bennett Tjapangati was from Kintore and was a member of the Papunya Tula artist group from the early 1980's. 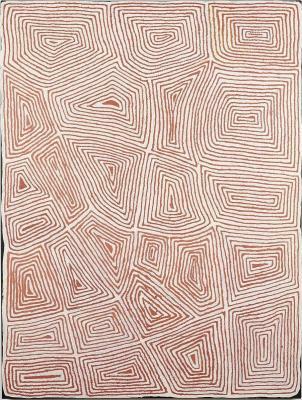 John John was married to Nyurapayia Namitjinpa and at the time lived at Walungurru. In the later part of his life he lived at Tjukula, in part of the landscape of this painting. His country was Mukulurru which is north of Kaltukatjara (Docker River) the southern extent . . .